A jealous husband 'cut off both his wife's hands' in a fit of rage after he accused her of having an affair. Doctors have managed to save one of the woman's hands during emergency surgery but have not been able to re-attach the other. Dmitry Grachyov, 26, launched the medieval-style attack at his wife Margarita after he accused her of being unfaithful. 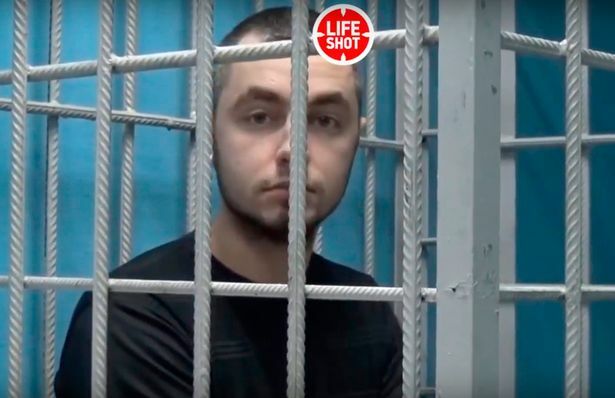 He took the mother of his two children to a forest, says reports in Moscow, and used an axe to hit her fingers as he tried to torture her in for confessing. The woman denied the accusations, according to police reports, so Grachyov is said to have one hand then the other. Blood gushing from both arms, Grachyov is then reported to have driven his wife to hospital and gave himself up to police. The right hand and arm was "too damaged" in the gruesome attack to be saved, say doctors. 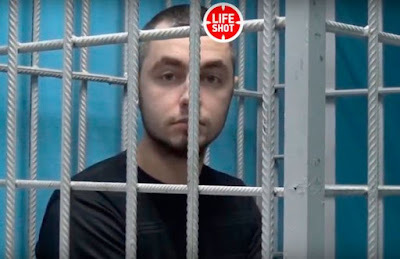 A video showed Grachyov in a court cage after he was detained. He has been remanded in custody pending investigations into the incident.